Other wise known as the Silentnight 3 Zone Memory Mattress , this range of bedding is all about instantaneous sleep space with mattresses sold as pre-rolled vacuum packed products. This allows for easy transportation that is ideal, if not essential, for tight staircases and door frames. Also available as a 7 Zone option, the Silentnight Mattress Now 3 Zone Memory Mattress provides targeted support to 3 areas of the body, namely the lower back and shoulders and is constructed entirely of foam with not a single spring inside. 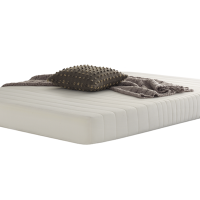 The inner core of the mattress is made up of Miratex, a variety of latex foam exclusive to Silentnight’s ‘Mira-‘ technologies with the surface features a 30mm thick layer of memory foam. This means that the 3 Zone option is rated as a medium soft mattress which is ultra-comfortable and great for those who prefer sleeping on their side. 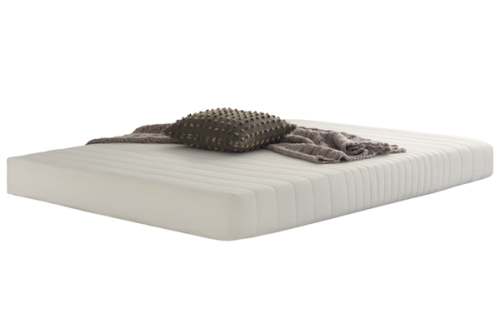 The use of foam also makes this a hypoallergenic mattress due to its resistance to dust mites. Currently, the 3 Zone memory foam mattress by Silentnight is available only as a single, double or king size bed with sizes ranging between 3ft and 5ft with a double mattress being 4ft 6 wide. Silentnight offer a lengthy 5 year warranty with their memory foam mattress which is unheard of for such a cheap mattress. This is because without springs in side, there’s very little that can go wrong with a 3 zone memory mattress and it is likely to last considerably longer making this an innovative and great value new mattress type. Type: Hypoallergenic, Medium Soft, Memory Foam. There are no reviews for this mattress yet, would you like to submit yours? Be the first to review “Silentnight Mattress Now Memory 3 Zone Mattress Reviews” Click here to cancel reply.